Delivering some light outerwear options. 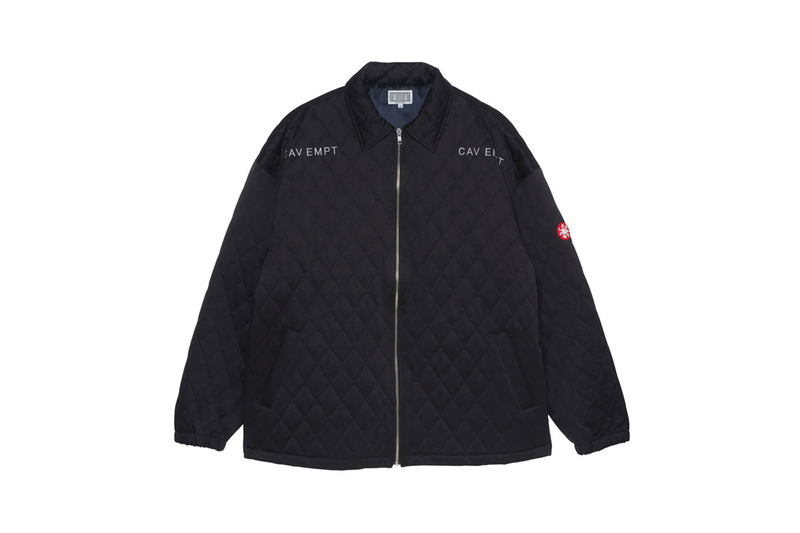 Continuing to deliver its Spring/Summer 2019 collection, Cav Empt recently dropped the third release of its seasonal range. Straying away from the cold-weather outerwear we saw in the second drop, the latest release features light jackets and an array of thick sweaters and shirting. Leading the third drop is the concealed closure Fly Front Jacket, followed by the Thinsulate insulated Quilt Zip Jacket, and the warm Fleece Shirt Jacket. Finishing up the release is a treated Bleached Heavy Zip Hoodie, graphic-emblazoned Chemical Engineering Heavy Hoodie, wash effect Bleached Big Shirt, and loose-fitting Athletic Pants. Check out the third drop above and shop all the items now at cavempt.com. For more contemporary fashion, Off-White™ celebrated Bart Simpson with its latest SS19 drop. As loud and anti-fashion as it gets.